In January 2005, a publisher named Dale Dougherty started a magazine called Make. 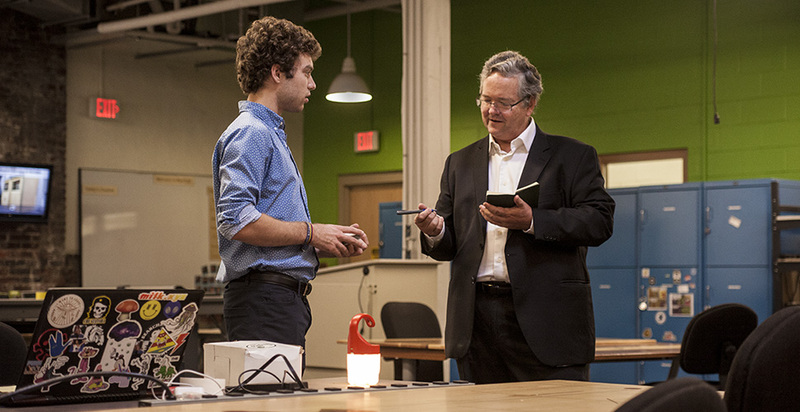 Dale had a passion for seeing ordinary people materialize their ideas. Through Make magazine he hoped to inspire and support “curious and creative people” and with it he defined a movement. In 2006, Dale launched the first Maker Faire in the Bay Area. The Maker Faire was a way to coalesce the growing Maker community and provide an outlet for a sharing of creations and ideas. Since 2006, Maker Faires have sprung up all over the world. 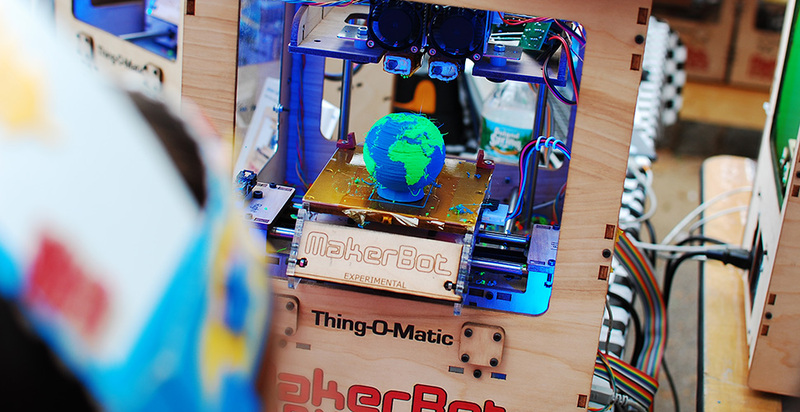 This summer, the Maker Faire comes to Philadelphia. Philadelphia has deep roots in creativity and making. In the 1700’s, Ben Franklin was busy working to found a nation but also laying the groundwork for an American tradition of invention. Philadelphia’s rich history of innovation and production certainly had an influence on Dr. Evan Malone. In an effort to bring manufacturing back to Philadelphia and foster the ideals of the maker movement, Evan opened NextFab in 2009. The goal was to provide the city with access to advanced tools and training. As an engineer, a maker, and a 3D printing expert, he’d seen what was being done with the MIT Fab Labs and was inspired by the possibilities. Last Fall, Dale came to Philadelphia. He visited NextFab, spoke to the City Council and gave a wonderful presentation to the Maker Meetup at the Franklin Institute. Dale’s visit was hugely inspiring and prompted a conversation that lead to the Mini Maker Faire in Philly. Maker Faire is a gathering of fascinating, curious people who enjoy learning and who love sharing what they can do. From engineers to artists to scientists to crafters, Maker Faire is a venue for these “makers” to show hobbies, experiments, projects. We call it the Greatest Show (& Tell) on Earth – a family-friendly showcase of invention, creativity, and resourcefulness. Glimpse the future and get inspired! “We hope that the Faire will be fun and entertaining. More importantly – we hope to educate and inspire kids (of all ages) to embracing the Maker ‘I can do it’ ethos!” Marvin adds. 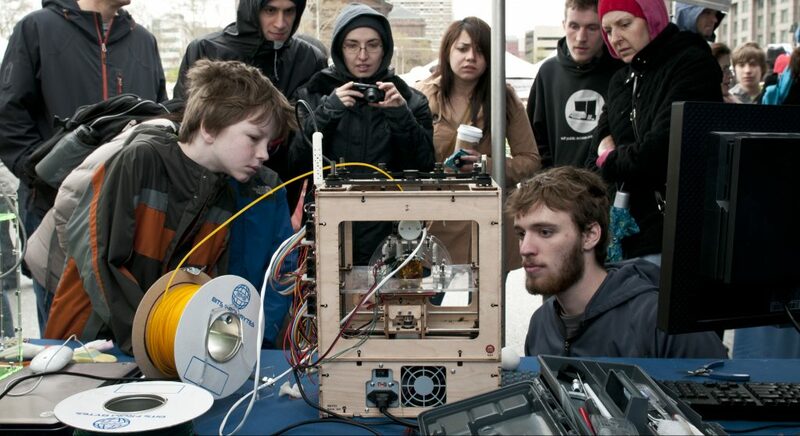 The Mini Maker Faire will take place on Sunday, June 24th, from 10am to 6pm at Pennovation Works in Philadelphia.